To work as a locum GP for a practice or agency you will need the following paperwork. MyLocumManager can help in various ways, for example with templates, links and calculations. You can use our free CV template to help you with this. A CCT confirms that a doctor has completed approved training in the UK. You can apply for your CCT certificate online. Once you have received your CCT certificate you must apply for full registration on the GP register with the General Medical Council. GP registrars that have trained in the UK are likely to already be on the performers list. You can apply for inclusion online in England, Wales and Northern Ireland. You can check your inclusion online in England, Wales, and Northern Ireland. If you change your status to locum GP, you should inform the performers list of the change. This can be done for England here. If working in Wales, Scotland and Northern Ireland, we recommend you contact your local health board to inform them. Contact your defence organisation and inform them of the type of locum work you will be undertaking (for example, in a practice or out of hours). You will need to give an estimate of the average number of sessions you will be working. 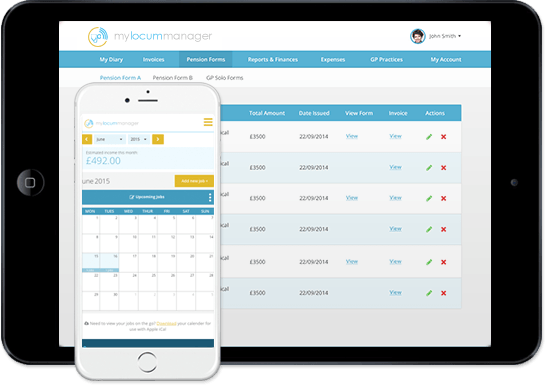 MyLocumManager will automatically calculate these for you as you book jobs. The indemnity company will reimburse you if you have overestimated. This can usually be obtained via your LMC from the Disclosure and Barring Service. Once you have your new certificate you have 19 days to apply for an automatic update service, which keeps your registration updated via direct debit at a cost of £13/year. It is worth setting this up. In Scotland this service is provided by Disclosure Scotland and in Northern Ireland by AccessNI. Not all practices or agencies will require this, but it is a good idea to have it to hand if they do. You should include two recent references. This is proof of eligibility to work in the UK.